Bluesmaster, Funkateer, Raconteur and Global Groover. 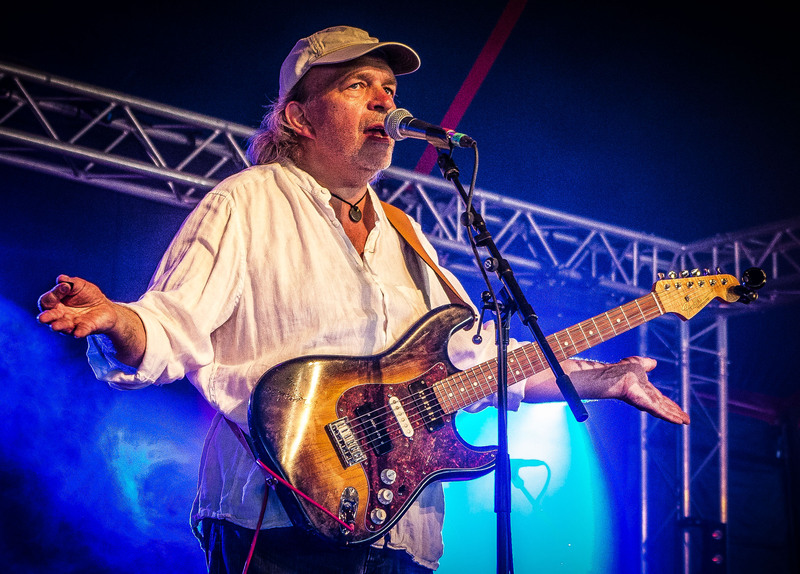 Robert Hokum is an established figure on the British Blues and West London music scenes, not only as a musician but also for his involvement in several Festivals, promoting Ealing’s music heritage and collaborations with the ethnic communities. 1951 Born in the London Borough of Ealing. 1960’s Grew up surrounded by the emerging Blues/Rock scene. By his 17th birthday had seen ‘live’ gigs by such as - Otis Redding, Aretha Franklin, The Rolling Stones, The Yardbirds, Ike & Tina Turner, Jimi Hendrix….. who were to influence his emerging musical skills. 1970’s to mid-1980s Played with a variety of jazz and covers bands to audiences as diverse as the inmates of Brixton Prison to the Queen Mother (apparently Ma’am did not like waltzes!). Along the way winning the London Heats of the Melody Maker Rock Contest and appearing in the Time Out Charts! 1985 Saw BB King for the first time and was inspired to focus on Blues music. 1987 Formed Robert Hokum & The Guv’nors. Being into ‘The Funk’ as well as ‘The Blues’, they developed a highly groove based style of blues and were described as ‘the funkiest blues band in the land’ going on to headline many Blues Festivals in Britain and abroad. 2011 - His multi-ethnic band Blues Sans Frontieres (which featured Sitar & Tabla on traditional Blues themes) became the first band to perform at Brecon Cathedral as part of The Brecon Jazz Festival, selling out the concert. 2012 - Became involved in promoting Ealing’s music Heritage via The Ealing Club Community Interest Company which facilitated the erecting of a Heritage Plaque at the site of the former ‘Ealing Blues Club’ of the early ‘60s. This was the birthplace of British Blues & Rock and an important venue in the careers of the Rolling Stones, The Who and Cream amongst others. 2013 - Involved in the launch of The Hanwell Hootie and the erecting of a Heritage Plaque for Marshall Amplification. 2014 - Blues Sans Frontieres become the first act to have a full house at The National Portrait Gallery music sessions. 2016 - The album ‘Live In Ealing’ by Robert Hokum & The Guv’nors is the most listened to album on British Airways In-Flight in the Jazz/Blues category. 2017 - Contributed to the documentary film about The Ealing Club, ‘Suburban Steps To Rockland’ as a researcher, talking head in the film and plays on the soundtrack. - The Great West Groove: Acoustic trio mixing swing, delta blues and acoustic funk. ‘Tasty, Witty and Tuneful - Blues Matters’. - Blues Dharma, where he plays bass guitar alongside tabla and veena in an ensemble which merges Raga and The Blues.